Today we celebrate the Solemnity of All Saints. It is one of the feast days in our liturgical calendar that is observed instead of the usual Sunday in Ordinary Time. Throughout the year, we celebrate the feast days of many saints. This does not mean, however, that we worship saints. The Church has also included in the annual cycle days devoted to the memory of the martyrs and the other saints. Raised up to perfection by the manifold grace of God, and already in possession of eternal salvation, they sing God’s perfect praise in heaven and offer prayers for us. By celebrating the passage of these saints from earth to heaven the Church proclaims the paschal mystery achieved in the saints who have suffered and been glorified with Christ; she proposes them to the faithful as examples drawing all to the Father through Christ, and through their merits she pleads for God’s favours. By entering into the long tradition of honouring the Blessed Virgin Mary and the saints, we ask them to intercede for us to God, who is always the object of our worship. The saints give us an example of Christian faith and living. They also offer us hope that we, like them, will experience the eternal glory of the death and resurrection of Jesus Christ in all its fullness. Every time we celebrate Mass, it serves as a foretaste of the great and eternal banquet of the Lord. The Eucharistic celebration unites us with the entire Church on earth, as well as the entire Church of God in heaven. As we participate in the great Eucharistic prayer of thanksgiving today, let us once again glorify God “with one voice of praise… with the multitude of Saints and Angels” (Preface for All Saints). 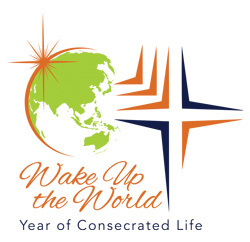 The Year of Consecrated Life provides everyone in the Church with the opportunity to reflect on the witness that people in consecrated life give. Pope Francis has named three aims for the Church during this year; the same aims were named by St John Paul II for the whole Church at the beginning of the third millennium. The third aim for the year is to embrace the future with hope. Pope Francis encourages everyone, especially those in religious life, not to be weighed down by the challenges of the day, but to look for hope in the signs of the times, to be watchful and ready. Carmelites do this in their contemplative community life, in the midst of the people. In every Eucharistic celebration, we embrace the future with hope. We intercede for the needs of the world, and go out to bring about the kingdom of God in our world today, seeking to make it more closely resemble the world to come. As we celebrate the Solemnity of Our Lady of Mount Carmel, in the light of over eight centuries of Carmelite tradition, 2000 years of Christian faith, and nearly 70 years as a parish community, let us move forward in the same Christian hope of those who have gone before us. The second aim for the year is to live the present with passion. Carmelites strive to live in the present through their community life and through the many and varied ministries they engage in. Carmelites live their life of allegiance to Christ through a commitment to seek the face of the living God (the contemplative dimension of life), through fraternity, and through service (diakonia) in the midst of the people. In every Eucharistic celebration, we live the present with passion. We are inspired and nourished by Christ himself, present with us, so that we can go out and live his mission. When we celebrate the Solemnity of Our Lady of Mount Carmel, we can think about how we are called to see and respond to the face of God in our neighbours in the world. Let us work together to continue to make Christ present to those in need. The first aim for the year is to look to the past with gratitude. During this Year, it would be appropriate for each charismatic family to reflect on its origins and history, in order to thank God who grants the Church a variety of gifts which embellish her and equip her for every good work. 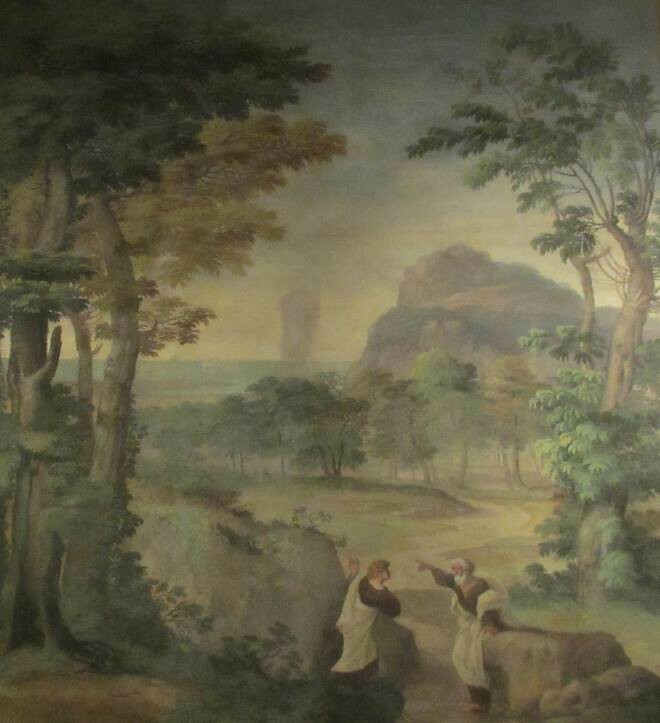 We know that the Carmelite Order, unlike other orders, does not have a founder, but has its origins in a group of hermits who lived on Mount Carmel at the end of the 12th century. Carmelite spirituality is characterised by two features. The first is its Elijan trait which the Carmelites developed living as they did on Mount Carmel, the scene of the great prophet’s deeds. Its second feature is an intimacy with Mary in our spiritual life, eloquently witnessed by the title of being her brothers and the dedication of the first Church on Mount Carmel in her honour. In every Eucharistic celebration, we look to the past with gratitude, recalling the work of God, and God’s relationship with us, throughout the history of salvation. When we celebrate the Solemnity of Our Lady of Mount Carmel, we can specifically recall how God has worked through those who established the Carmelite Family and who have contributed to it over the course of more than 800 years. Let us give thanks for how the mission of Christ has been lived out over that time through the unique charism of the Carmelites. That the old saying will always be true: “Where there are religious, there is joy”. We are called to know and show that God is able to fill our hearts to the brim with happiness; that we need not seek our happiness elsewhere; that the authentic fraternity found in our communities increases our joy; and that our total self-giving in service to the Church, to families and young people, to the elderly and the poor, brings us life-long personal fulfilment. In Wentworthville we are blessed with the joyful witness of people in consecrated life. Each member of our Carmelite community lives a religious life “in allegiance to Jesus Christ” (Carmelite Rule, and Carmelite Constitutions, no. 2), as part of a contemplative community in the midst of the people. Our celebration of the Solemnity of Our Lady of Mount Carmel next month, the feast day of our parish and the Carmelite Family worldwide, provides us with a particular opportunity to reflect upon and celebrate how those in consecrated life enrich the life of our parish and the life of the Church. We look upon our consecrated life above all as an invitation and a great gift from God, by which he consecrates us to himself, that we may serve our brothers and sisters following Christ’s example.